In this article, we highlight the 50 most affordable competitive colleges for online RN-BSN degrees based on accreditation, maximum percent of applicants admitted, and the lowest tuition price for each program. Accredited online RN-BSN degree programs are plentiful, but they are not always affordable. The schools listed below do not exceed an annual tuition rate of $18,500; in fact, 33 schools examined offer annual tuition rates of less than $10,000. Many of the schools on this list are public universities, which makes the RN-BSN degree programs highly affordable. It is interesting that public universities, while offering budget-friendly tuition rates, maintain a competitive admittance rate comparable to some private institutions. It should also be noted that the majority of schools listed below are ranked with U.S. News and World Report’s 2015 edition of Best Colleges, with over 90 percent of the rankings published. Affordability does not mean a sacrifice in quality academics. In fact, the four most affordable schools on our list, offering tuition rates of less than $5,000 per year for in-state tuition, are also among the most selective, as compared to other public state universities and colleges. • Accreditation – All schools examined offered Bachelor’s degrees. A small portion offered graduate-level master’s degrees with bridge programs of RN-MSN trajectories. The focus of this study was to choose accredited schools offering RN-BSN pathways. All schools are accredited by either the Accreditation Commission for Education in Nursing (ACEN) or the American Association of Colleges of Nursing (CCNE). All schools are state-board approved. • Affordability – The most recent tuition rates listed on the school website or by NCES Navigator were reported. Price is subject to change, as per school reporting. Program fees may not be included in tuition price. • Maximum Percent of Applicants Admitted – No more than 60%. After we evaluated the school and program criteria, we ranked schools in order of affordability based on the most recent tuition price listed on the school website, or as published by the U.S. Department of Education Institute of Education Science, National Center for Education Statistics (College Navigator). The tuition price may not reflect particular program costs and fees; therefore, it is important to contact the college or university directly to obtain the most recent tuition rate. The fully accredited online RN-BSN program at Mount Carmel College of Nursing has a rich history of providing strong nursing education for more than 100 years. The school’s College of Nursing is part of the CHE Trinity Health System – one of the largest Catholic healthcare systems in the U.S. The program is designed for busy students and available in a part-time or full-time format. Individual pre-licensure nursing assessments are available for students to assist with readiness upon graduation. The student-centered philosophy includes keeping the student-faculty ratio low, with 25-30 students in the online undergraduate courses. The RN-BSN online degree program at Nova Southeastern University offers an efficient and affordable pathway to reach the goal of becoming more educated in the nursing profession. The program is designed with the working nurse in mind, offering small class sizes and a short path that may be completed in as little as four semesters. U.S. News and World Report ranks Nova Southeastern the 77th Best Online Graduate Nursing Program in the country. The nursing program is fully accredited. Program requirements include such courses as Health Care Ethics, Nursing and Health Care Trends, and Nursing Research. 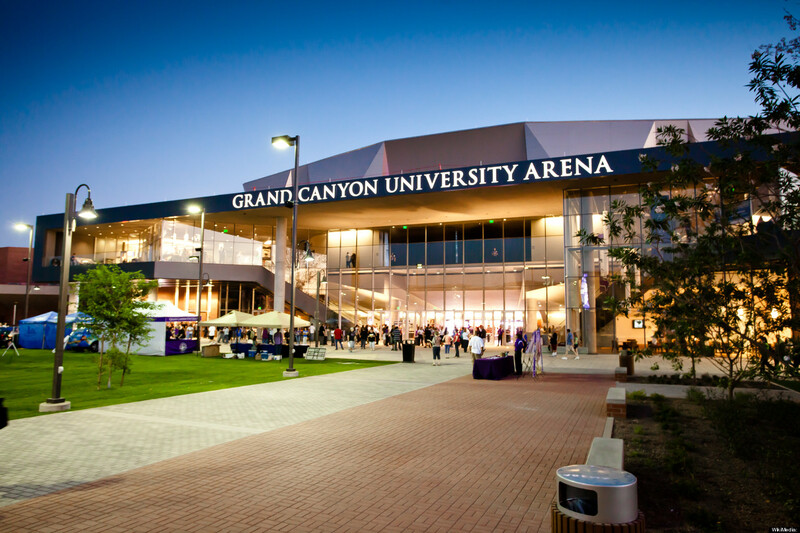 Grand Canyon University is a private for-profit Christian school founded in 1949. The Higher Learning Commission accredits the school and the Commission on Collegiate Nursing Education accredits the nursing program. Bridge programs in nursing include the online RN to BSN and the RN to MSN degree options. Fortune magazine recognized Grand Canyon University as a top-five school for entrepreneurs. U.S. News and World Report ranks the school among the Best Regional Universities in the West. The ranking is not published, but the school is recognized. Liberty University is a private Christian university established in 1971, and today is the largest evangelical Christian college in the world. The school’s chancellor and founded is the well-known television evangelist, Jerry Falwell. The school offers an affordable online RN-BSN degree, which is accredited by the Commission on Collegiate Nursing Education and approved by the Virginia State Board of Nursing. U.S. News and World Report ranks Liberty the 80th Best Regional University in the South, with the 56th Best Online Graduate Nursing Program and the 79th Best Online Bachelor’s Program. Established by the Sisters of Mercy in 1899, Mercy College of Health Sciences is located in downtown Des Moines, and offers a number of health degrees and programs. The Higher Learning Commission accredits the school. Mercy College of Health Sciences offers an RN-BSN online degree program to registered nurses looking for educational mobility. The program is 100 percent online and may be completed in as few as three semesters. Faculty members are skilled healthcare professionals who work as practitioners in the field. Founded in 1970, Francis Marion University is a public university located in Florence, South Carolina. The Francis Marion Department of Nursing offers an RN to BSN track for registered nurses for degree-seeking nurses with associate degrees. While many online RN-BSN programs require 45 semester hours, the track at Francis Marion requires 30. U.S. News and World Report ranks Francis Marion University as the 76th Best Regional University in the South and the 34th Best College for Veterans. Chamberlain College of Nursing offers a CCNE-accredited RN-BSN online degree program for working nurses who want to expand their knowledge base and enrich their healthcare career. The program is offered 100 percent online and without mandatory login times. Students decide when to attend class. Areas of study and curriculum scope include collaborative healthcare, community health nursing practices, and evidence-based research and practice. U.S. News and World Report ranks Chamberlain the 56th Best Online Graduate Nursing Program and the college is ranked among the Best Nursing Schools. The RN-BSN track at University of Missouri in Kansas City offers a demanding and rewarding degree program for nurses who want to advance their knowledge of healthcare and nursing practice. The National League for Nursing recognizes the program for its innovation and implementation of technology. U.S. News and World Report ranks the school as the 28th Best Nursing Schools in the country and the 189th Best National University. As a public university, the degree program is also one of the most affordable. The online RN-BSN degree program at Columbus State University provides advanced education to registered nurses. It is accredited by CCNE and fully approved by the Georgia Board of Nursing. The school is both nationally and regionally accredited. The nursing program is considered one of the top of its kind in the United States, with high placement rates and prestigious rankings. In recent years, U.S. News and World Report ranked Columbus State University among the Top 50 Public Universities in the South. Graceland University in Lamoni, Iowa offers an accredited RN-BSN online degree program that is comprehensive in scope and affordable to the budget. The online program offers student support counselors and faculty mentors, willing to guide students along the pathway from application to degree completion. With the CLEP or online course program, the nursing school allows students to be awarded transfer credits no matter how long ago the credits were earned. U.S. News and World Report ranks Graceland University as the 103rd Best Regional Universities in the Midwest and the 148th Best Online Bachelor’s Programs. The University of West Florida provides an affordable online RN-BSN degree program for working nurses wanting to earn advanced credentials in nursing education. To be eligible for the program, students must have completed an RN program at a community college or received a diploma. The Commission of Collegiate Nursing Education (CCNE) accredits the nursing programs. The program admits a cohort two times each semester and all applicants must submit active unencumbered RN licenses to be eligible for the program. U.S. News and World Report ranks the university among the Best National Universities in the country. The ranking is unpublished in the 2015 edition of Best Colleges. Adventist University of Health Sciences offers various degrees in nursing, including the online RN-BSN. Nursing education at Adventist University has been in operation since 1908, when the school began training nurses to assist those in need. The RN to BSN program prepares nurses with additional training needed to succeed in nursing practices. The Accreditation Commission for Education in Nursing (ACEN) accredits the degree program. Typical courses required for the BSN degree include Concepts of Professional Nursing for RNs, Introduction to Nursing Research for RNs, and The Business of Health Care. Western Illinois University offers an RN-BSN completion program created for working nurses holding associate’s degrees and currently licensed as registered nurses. All coursework is presented online and a required community health course is offered as a clinical practice project. The Commission on Collegiate Nursing Education (CCNE) accredits the degree program. U.S. News and World Report ranks Western Illinois University the 39th Best Regional University in the Midwest and the 63rd Best Online Bachelor’s Program. U.S. News and World Report also ranks the school as the 10th Top Public School. The Bachelor of Science degree program at Webster University is designed for licensed registered nurses who want to advance in the nursing practice. The program helps develop theoretical knowledge and real-world techniques needed to work in the nursing profession. Online and evening study sessions are available to assist the working nurse with balancing education and other obligations. U.S. News and World Report ranks Webster University as the 26th Best Regional Universities in the Midwest and the 11th Best College for Veterans. U.S. News and World Report ranks many of the school’s online programs as among the best in the country. Our Lady of Holy Cross College offers an accredited RN-BSN online degree for working nurses who want to advance in their profession. The program is fully accredited and the university is upheld for its high standards and quality academics. The Accreditation Commission for Accreditation in Nursing accredits the program. The program offers specialized and personalized education through a 100 percent online design. U.S. News and World Report recognizes Our Lady of Holy Cross College among the Best Regional Universities in the Tier 2 category. Registered nurses who have graduated from a diploma or associate degree program are eligible to earn an online RN to BSN degree from Lander University. Lander offers a fully accredited BSN degree program designed for working registered nurses who want to excel in the nursing profession through continued education. While the program is entirely administered online, an on-campus orientation is required before starting classes. U.S. News and World Report ranks Lander University the 64th Best Regional College in the South and the 9th Top Public School in the country. The University of Alabama’s Capstone College of Nursing offers an RN mobility track designed for working RNs who desire to earn their BSN. The RN to BSN program is specifically designed for registered nurses and moves at a flexible yet challenging pace. Nurses have the option of enrolling as a full time or part time student. U.S. News and World Report ranks University of Alabama as the 88th Best National University and the 61st Best Nursing School in the country. The program is regionally and nationally accredited. Founded in 1895, the University of Texas at Arlington offers an RN-BSN online degree program that is both accredited and affordable. The program is designed for the working registered nurse who wants to earn a baccalaureate degree in an efficient and effective way. Full time and part time options are available. The Commission on Collegiate Nursing Education accredits the degree program and the Texas Board of Nursing governs the pre-licensure. U.S. News and World Report ranks the nursing school as the 90th Best Nursing School in the country. The RN-BSN program at Prairie View A & M University prepares RNs who hold a diploma or associate degree to earn a Bachelor of Science degree in Nursing. The fast-paced program at Prairie View allows students to earn the credentials needed to obtain a BSN in as few as twelve months. The program is fully accredited and one of the most affordable nursing programs in the state of Texas. 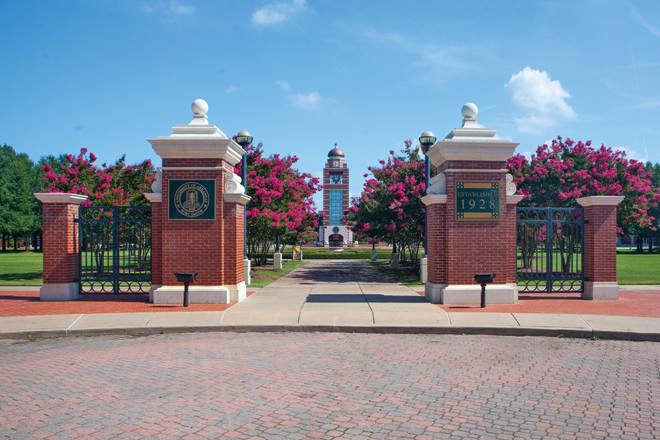 U.S. News and World Report ranks Prairie View A&M University the 37th Best Historically Black College and University in the country. The University of South Carolina at Aiken offers various nursing degree programs, including the accredited RN-BSN online degree. The Commission on Collegiate Nursing Education accredits the nursing programs at University of South Carolina. The RN to BSN degree program begins in August and takes three semesters to complete. Classes are offered online with the exception of clinical requirements. U.S. News and World Report ranks University of South Carolina – Aiken as the 18th Best Regional College in the South. U.S. News also ranks the school as the 6th Best College for Veterans and the Number One Top Public School in the country. The University of Arkansas is a public university founded in 1871. The school is recognized for offering affordable degrees, including the RN to BSN program. Full-time faculty members with expertise in the field of nursing teach all required courses. No campus visits are required and the program is administered entirely online. A required clinical immersion course must be completed in the student’s geographic area. U.S. News and World Report ranks the University of Arkansas 135th among all National Universities in the country. The nursing program is ranked as the 75th Best Nursing School in the United States, according to U.S. News and World Report’s 2015 edition of Best Colleges. The University of Arkansas at Little Rock is a public university founded in 1927. The school is affiliated with the University of Arkansas in Fayetteville, but operates as its own university. The nursing department offers a fast track RN to BSN online degree, which is designed for working RNs. The program may be completed in either twelve or eighteen months. Program flexibility allows students to maintain part time or full time employment while earning their degree. The school’s graduate study programs are consistently ranked by U.S. News and World Report among the best in the country. University of Arkansas at Fort Smith offers an affordable online RN-BSN degree that prepares professional RNs for mobility in the workforce. The flexible track allows registered nurses to take online courses that lead to a BSN degree. Accreditation Commission for Education in Nursing accredits the online completion track. The program is offered within the Carolyn McKelvey Moore School of Nursing at University of Arkansas’ Fort Smith branch. 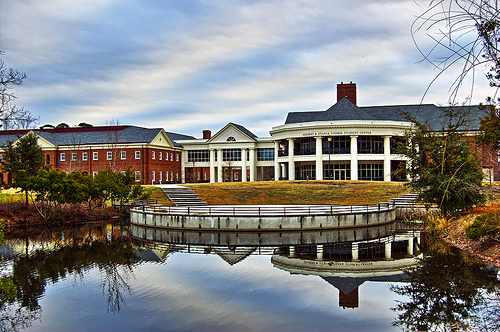 U.S. News and World Report ranks the college among the Best Regional Colleges in the South. Florida International University offers an affordable and accredited RN to BSN online degree, designed for registered nurses who want to jump ahead in their career goals. The program is designed for Florida RNs who desire a Bachelor of Science in Nursing degree. The program is fast-paced and may be completed in as little as three semesters. U.S. News and World Report ranks the university as the 54th Best Nursing School in the country and the 98th Best Online Bachelor’s Program. Stephen F Austin State University offers various nursing degree programs, including the popular RN to BSN online track. The program is designed for working RNs who hold a diploma or associate’s degree and want to continue their education to obtain a baccalaureate degree in nursing. The ACEN Accreditation Commission in Education on Nursing accredits the degree program. U.S. News and World Report ranks Stephen F Austin State University as the 84th Best Regional University in the West and the 34th Top Public School. University of Buffalo offers an affordable online RN-BSN degree option for registered nurses who want to further their education and nursing knowledge. The degree program is offered in a one and two-year sequence to those who have passed the NCLEX-RN and possess an associate’s degree or diploma. U.S. News and World Report ranks the school as the 103rd Best National University in the country and the 48th Top Public School. U.S. News and World Report also recognizes the school’s online bachelor’s programs and ranks them as the 136th Best Online Bachelor’s Programs in the U.S.
Bon Secours Memorial College of Nursing awards RN to BSN degrees to students who currently hold licenses as registered nurses and complete the necessary program requirements. The program is fully accredited and offers 100 percent online. Flexible courses and degree requirements make it efficient for working students to complete the program. The school offers small class sizes and a state-of-the-art Clinical Simulation Center. Outreach and mission experience are emphasized to offer students hands-on practice in the nursing field. The accredited RN-BSN online degree program at Northern Kentucky University offers a flexible and affordable pathway to earning a baccalaureate degree in nursing while working as a professional nurse. Nursing courses are offered online in 16-week sessions. Non-nursing courses are available online and are offered in eight and sixteen week sessions. The curriculum is designed to accommodate working professionals. U.S. News and World Report ranks Northern Kentucky University as the 70th Best Regional University in the South. The University of North Carolina Wilmington offers a unique pathway for registered nurses to earn a baccalaureate degree through their RN to BSN program. In as few as twelve months, students may earn the necessary credentials for the BSN degree. While classes are administered online, the program has a residency requirement of 31 credit hours. U.S. News ranks UNC Wilmington as the 16th Best Regional University in the South and the 6th Top Public School. The University of North Florida offers an online RN to BSN degree pathway that may be completed in as few as 12 months. The nationally recognized program offers evidence-based curriculum, research, and practices common in the nursing profession. Students take online courses taught by professional faculty members with years of experience working in the nursing field. Courses include Nursing Science, Perspectives in Chronicity, and Socialization to Professional Nursing. U.S. News and World Report ranks University of North Florida the 51st Best Regional University in the South. Oklahoma Panhandle State University offers an online RN-BSN degree program that was founded in 1996. It is one of the first nursing programs of its kind to offer nursing courses exclusively online. The Accreditation Commission for Education in Nursing accredits the degree program. U.S. News and World Report ranks the school and its programs as among the Best Regional Colleges in the West and the 90th Best Online Bachelor’s Programs. The program is recognized as being one of the most affordable nursing programs in Oklahoma. SUNY College of Technology at Delhi offers an affordable and flexible RN to BSN program that provides educational mobility options for nurses who desire a baccalaureate in nursing. Curriculum is administered entirely online with the working nurse in mind. Practicum opportunities may be completed in the student’s geographic location. U.S. News and World Report ranks SUNY College of Technology the 33rd Best Regional College in the North and the 18th Best Online Bachelor’s Program in the country. Indiana University East in Richmond, Indiana, offers a cost-effective and convenient nursing program that allows RNs to earn a BSN in as few as 12 months. The program is flexible, with online options that provide the opportunity to earn a BSN in 12, 18, or 24 months, after the completion of general education requirements. The nursing program is fully accredited and operates within the Standards of Nursing Practice, established by the American Nurses’ Association. U.S. News and World Report ranks the school among the Best Regional Colleges in the Midwest. Southeastern Louisiana University offers RN to BSN degree programs that allow working registered nurses to pursue further education in a flexible and online format. The program is considered one of the most affordable in Louisiana and is designed with flexible coursework and requirements that allow working professionals to balance school with outside commitments. Accelerated options are available. 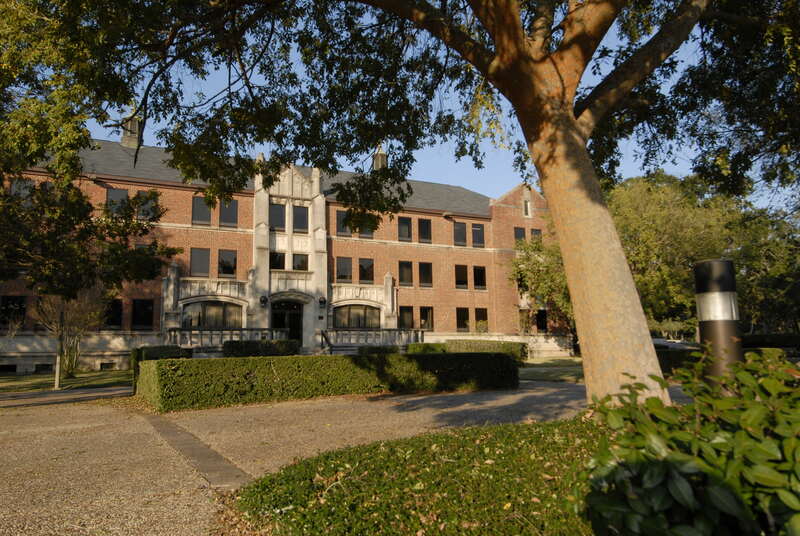 U.S. News and World Report ranks Southeastern Louisiana University as the 171st Best Nursing School in the country. The school has also been ranked among the Best Regional Universities in the South. Recognized for its affordability and flexibility, SUNY College at Plattsburgh offers an RN to BSN degree option for working registered nurses who want to earn a bachelor’s degree in nursing. Admission to the program is competitive and contingent on space and academic qualifications. The school’s nursing department is known as being one of the pioneers in distance education. U.S. News and World Report ranks SUNY College at Plattsburgh 74th among the Best Regional Universities in the North and the 22nd Top Public School in the country. Minot State University’s RN to BSN program is available in an online format and is designed for registered nurses who wish to pursue ongoing education to earn a BSN. With the exception of one designated clinical course, the entire program may be completed online. Minot State’s ranking in the 2015 edition of U.S. News and World Report’s Best Colleges is 106th among the Best Regional Universities in the Midwest. U.S. News and World Report also ranks Minot State University the 142nd Best Online Bachelor’s Program and the 38th Top Public School. University of Central Florida offers a variety of nursing post-licensure programs including the RN to BSN degree. Flexible delivery options, including online or face-to face, allow working students to balance work-life with education. Depending on how many credits are required, students may complete the BSN program in as quickly as three semesters. For those who want to stretch out the program, ten semesters is the limit. U.S. News and World Report ranks University of Central Florida the 51st Best Regional University in the South and the 19th Top Public School. The RN to BSN program at Frostburg State University is an affordable degree program designed for working registered nurses who want to earn their bachelor’s degree in nursing. The online format allows students to complete the degree requirements in as little as 18 months. Part time and full time options are available. CCNE accredits the nursing program and the RN to BSN degree option is recognized as a Best Buy by Forbes and GetEducated. U.S. News and World Report ranks the school 125th among the Best Regional Universities in the South and the 46th Best College for Veterans. The RN to BSN track at Texas A & M University in Texarkana prepares registered nurses who have a license or diploma with the education they need to earn a Bachelor of Science degree in nursing. The program is designed to provide seamless articulation toward the BSN degree. Courses required for the degree include Health Assessment Across the Life Span, Professional Nursing Practice, and Quality Issues and Responsibilities in Professional Nursing Practice. U.S. News and World Report ranks the school among the Best Regional Universities in the West. Cabarrus College of Health Sciences offers a Bachelor of Science in nursing degree (RN to BSN) that is designed for licensed registered nurses who want to expand their skills and knowledge of the nursing field. Classes are offered 100 percent online and with flexible and convenient scheduling. Classes combine business, humanities, and nursing disciplines. Required nursing courses include Health Assessment, Health Policy, Nursing in Society, and Pharmacology. The nursing program is fully accredited through the Accreditation Commission for Education in Nursing. The RN to BSN program at Mississippi University for Women is an advanced placement option, available as a partial distance or total distance program. Students enrolled in the total distance program are not required to attend classes, but receive instruction via computer. The program is nationally ranked and fully accredited. U.S. News and World Report ranks the school as the 47th Best Regional University in the South and the 163rd Best Nursing School in the country. North Carolina Central University’s RN to BSN program is one of the oldest in North Carolina. Initiated as a degree completion program for nurses, today the program is offered entirely online with the most contemporary teaching technology available. Full time and part time structures are available. As a bridge course, the program must be completed within 12 months, or two years when electing to take classes on a part time basis. U.S. News and World Report ranks North Carolina Central University as the 65th Best Regional University in the South. Current registered nurses who desire to further their nursing education are eligible to enroll in Georgia Southern University’s accredited RN-BSN online degree program. Accredited by the CCNE and approved by the Georgia Board of Nursing, the program offers flexible and convenient courses that lead to the BSN degree. Students may take classes on a part-time or full-time basis. The program is highly individualized to suit the needs of working professional nurses. U.S. News and World Report ranks Georgia Southern University 107th for the Best Online Bachelor’s Program in the country. Western Carolina University’s RN to BSN program assists licensed registered nurses to advance their education and career trajectory by earning a Bachelor of Science in Nursing. The program is considered one of the most affordable nursing programs in the south. Fully accredited, the RN to BSN program is nationally ranked. U.S. News and World Report ranks Western Carolina University as the 37th Best Regional University in the South and the 90th Best Online Bachelor’s Program in the country. The nationally accredited RN to BSN program at Bluefield State College awards bachelor’s degree in nursing to licensed registered nurses who complete the required coursework and clinical experiences. Nursing classes are administered online with the option Boot Camps on the Bluefield campus. U.S. News and World Report ranks Bluefield as the 50th Best Historically Black College and University in the country. In the 2015 edition of Best Colleges, U.S. News and World Report ranks the school among the Tier 2 colleges. Clayton State University offers two bridge nursing programs, the RN to BSN and the RN to MSN. The RN to BSN degree program offers open enrollment with full time and part time availability. Courses are administered online with the exception of an individualized 90-hour required clinical practicum. The program is nationally accredited and approved by nursing standards and enforcements. U.S. News and World Report ranks Clayton State University as the 62nd Best Regional College in the South and the 8th Top Public School. The nursing schools ranks 171st in the country. 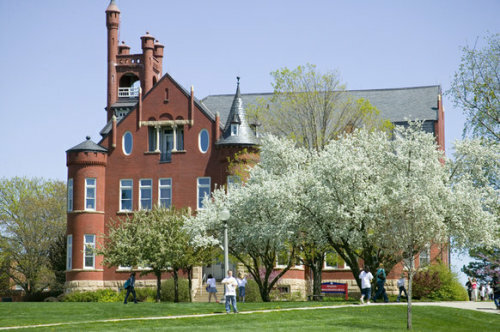 Northwestern Oklahoma State University is a public university founded in 1897. Today it offers various undergraduate and bridge program, including the RN to BSN degree for working registered nursing professionals. The program is fully accredited by the Accreditation Commission for Education in Nursing and approved by the Oklahoma Board of Nursing. Program requirements include such course topics as Nursing Care of the Adult, Nursing Care in Mental Health, and Professional Issues in Nursing. The school’s ranking in the 2015 edition of Best Colleges by U.S. News and World Report is Regional Universities West, Tier 2. The RN to BSN program at Winston-Salem State University is offered as an Outreach Option that recognizes registered nurses as adult learners with vast experience in the healthcare field. Classes are offered online with limited online space availability. The program is competitive and considered to be one of the most affordable nursing programs in the state of North Carolina and in the country. The Commission of Collegiate Nursing Education accredits the program. U.S. News and World Report ranks Winston-Salem State University the 60th Best Regional University in the United States and the 25th Top Public School in the country. Fayetteville State University offers full time and part time matriculation plans for those pursuing an RN to BSN degree. Plans are optional and flexible, designed for working nurses who desire to balance school, work, and home life. The full time matriculation plan requires 2.5 semesters and the part-time plan requires 5 semesters. U.S. News and World Report ranks Fayetteville State University the 28th Best Historically Black College and University in the country. The nursing program is the most affordable of its kind in North Carolina and in the South. 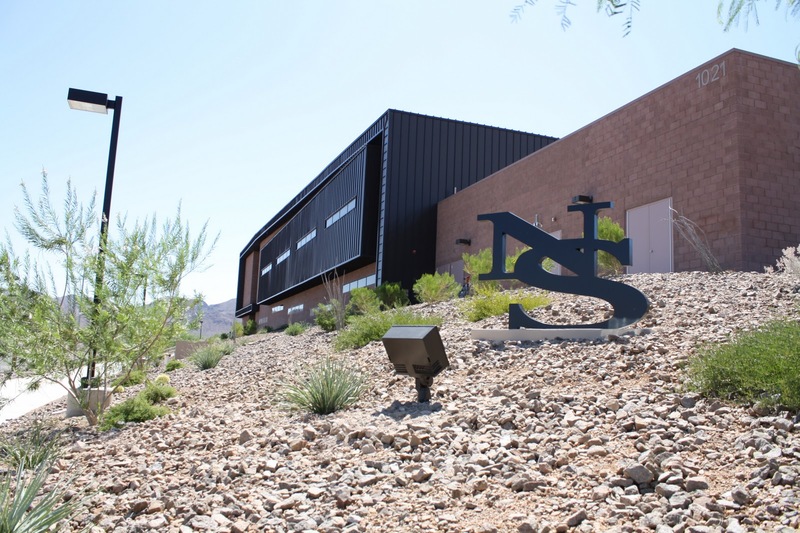 Nevada State College offers the most affordable RN to BSN degree program in the country. The program is designed for registered nurses who hold licenses or diplomas and desire to continue their education in the nursing field. U.S. News and World Report ranks the school in its 2015 edition of Best Colleges among the Top Regional Colleges in the West (Tier 2). In state tuition is less than $5,000; while out of state tuition is approximately $10,000 more. The program is fully accredited.